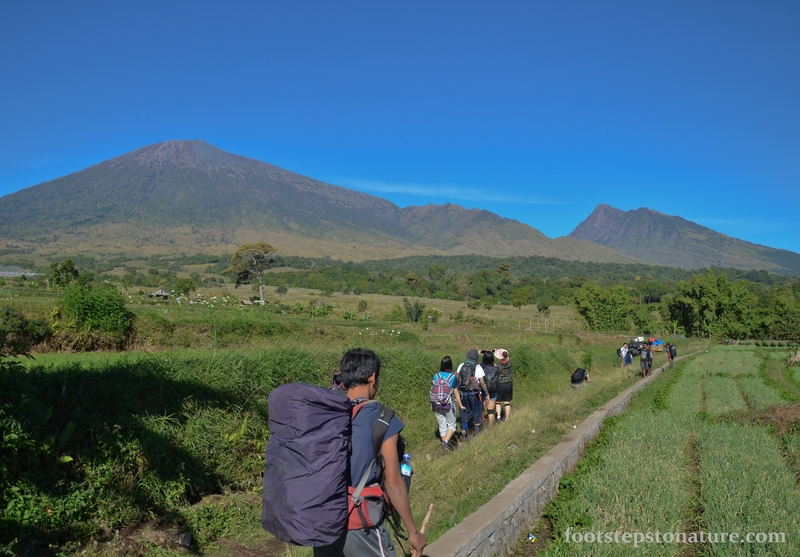 Mt Rinjani (Gunung Rinjani) is the second highest volcano in Indonesia with a peak of 3726m above sea level. 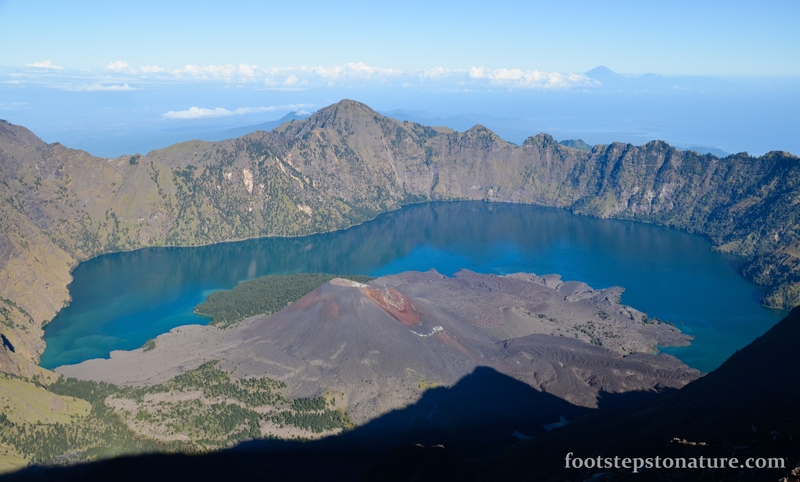 This once massive volcano had since collapsed following a major eruption, forming an enormous caldera which is currently filled with a beautiful caldera lake (Segara Anak) and a new active volcano (Gunung Baru) sitting at 2000m above sea level. 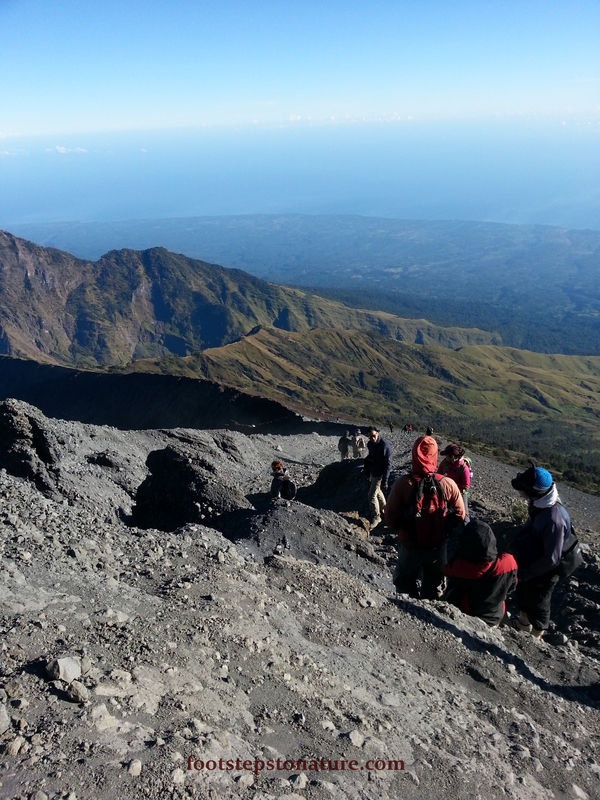 Mt Rinjani would be my second mountain climbing experience so far after Mt Kinabalu back in 2009. 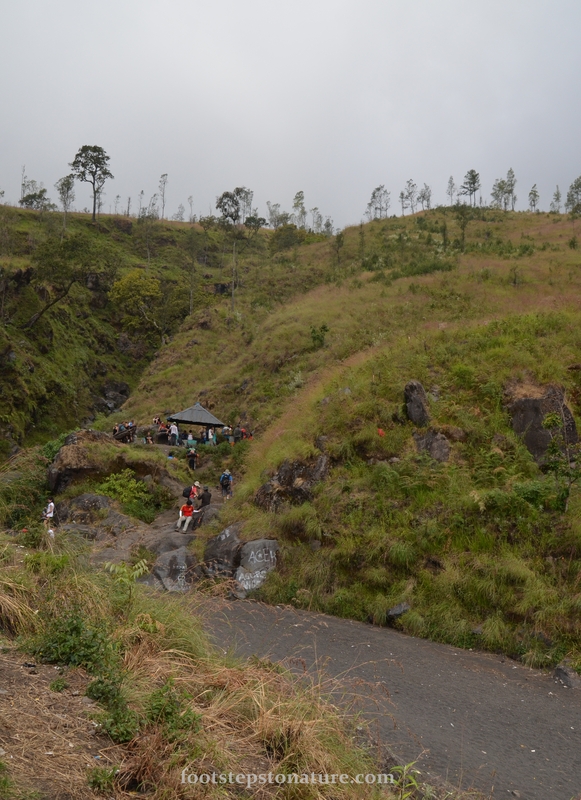 Anyone who had climbed Mt Kinabalu would know that Rinjani is 369m lower hence it should have been relatively easier. Again, coming from an averagely fit individual, both have their challenges. Although I think I may have some issues preparing for such hikes in the past because weeks before both occasions I never really bothered to train and build up my fitness level for some strange reason which I still cannot figure out. Coming back here, the difference in challenge was more of environmental during our ascent to the summit more than anything else which I will describe below. 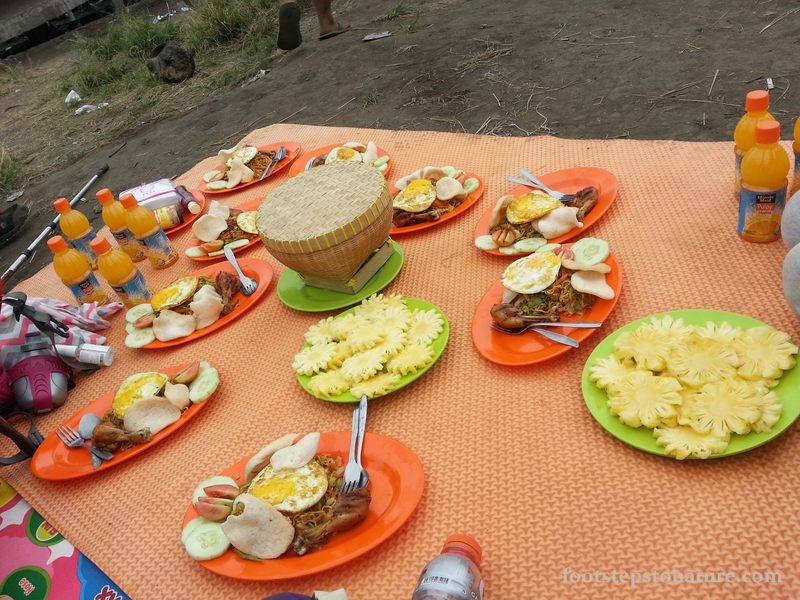 We began our hike from Rinjani Information Post at Sembalun. There were a total of 3 rest posts, followed by ‘7 hills’ (according to our guide) on the way to base camp and this made up Day 1 of the climb. The hike to Post 1 was 2.5 hours, followed by an hour each to Post 2 and 3, and 3.5 hours to base camp. If you book your trip through a company, they will assign 1 porter per person and a guide depending on group size. 10.30am – The first section is mainly a stroll through grasslands with a short stretch of foliage cover. Beware of cow dung, they’re everywhere! 4.00pm – The going gets tough. Inclined slope for most of the way from Post 3. We settled in for the night at around 7pm, it was really cold as the temperature was approximately 5 degrees Celsius. But that didn’t stop me from doing some star gazing which was perfect: pitch black, halfway up the mountain, unobstructed view, and no mosquitoes, you have to see it for yourself. Day 2, 1am, waking up to a hot cup of cocoa never felt so good. As we had our breakfast and made preparations for the final summit, I still wasn’t sure what to expect, all I knew was that the path is slippery at certain stretches of the hike and the fact that we had to depart earlier at 2am because our fitness levels meant we needed more time to reach the summit. I didn’t take any photos on the way up because it was simply too dark and that it would also be spoiling the surprise for future climbers. 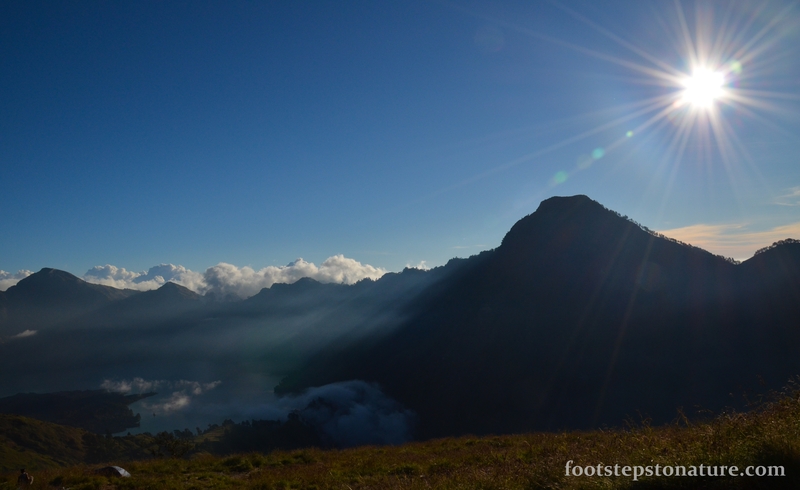 Here’s where the difference lies ascending to the summit between Mt Rinjani and Mt Kinabalu. Composition of both mountains are obviously different as one is volcanic and the other a forested mountain. But in terms of challenges, I have to go with the former being more challenging. 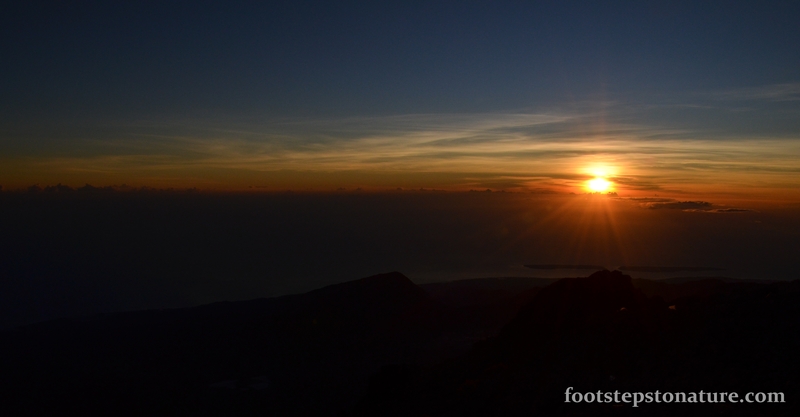 On Mt Kinabalu, you are hiking on flat rocky surface so as long as your shoes are in good shape and you don’t have altitude sickness, you shouldn’t face many difficulties. 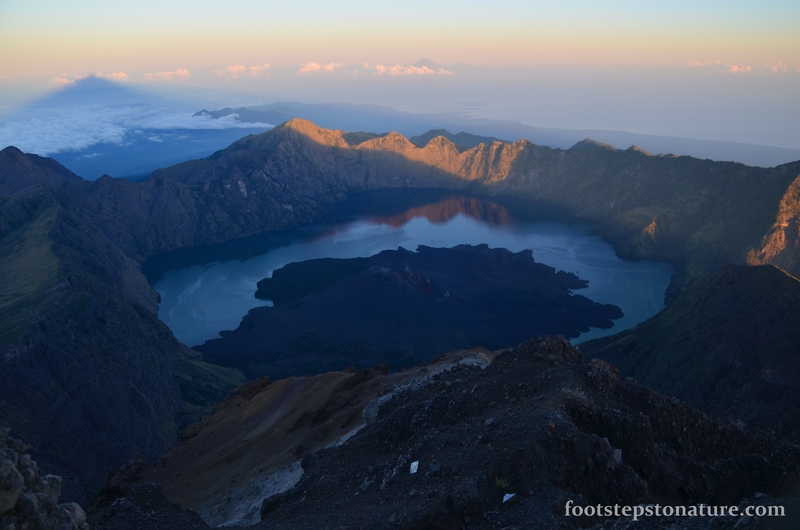 On the other hand at Mt Rinjani, majority of the time you’d be walking on surface made up of sand, dust and small stones. This was why the guides warned us that our hike to the peak is “2 steps forward, 1 step back” and it was literally what he said. 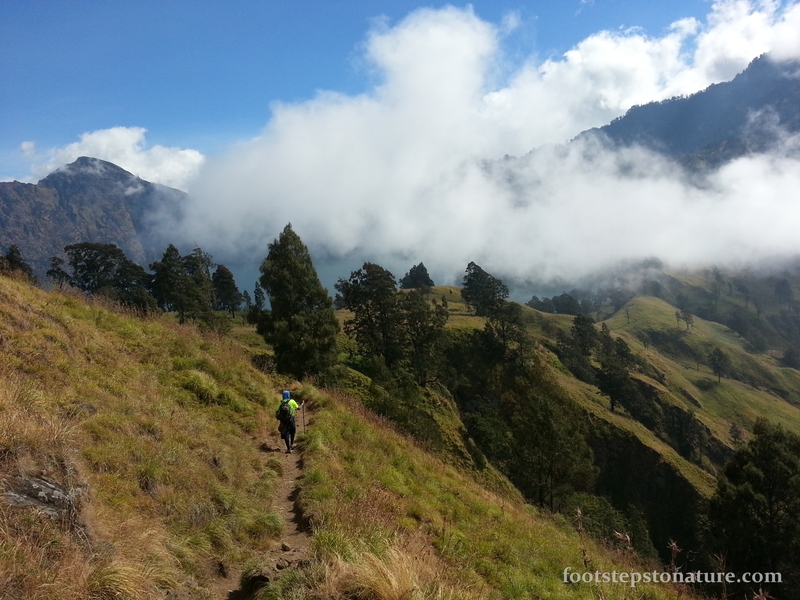 Top that up with breathing volcanic dust kicked up by other hikers and unforgiving chilly winds, Mt Rinjani was a lot more demanding physically and mentally. Day 2, 10.15am, upon arrival at campsite, we had to begin packing immediately for our next journey to the lake which is supposedly a 3 hour hike. Not many surprises as it was quite a mild hike. We managed to reach in 4 hours due to extra rest breaks in between. 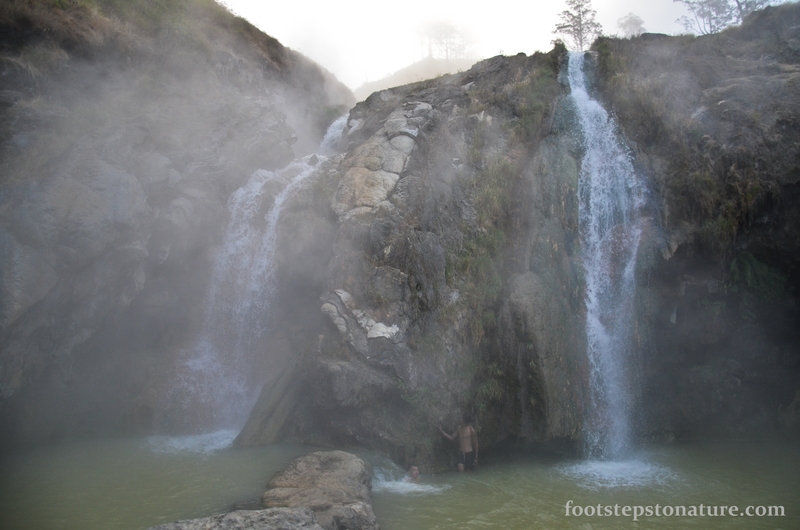 Thereafter we spent our time relaxing at the hot springs, a well-deserved rest! Day 3, 5.00am morning call, so we were told that our total hiking time for the day was at least 8 hours long. But we’ve already been through the worst so this was like a moderate hike for our already trained muscles. 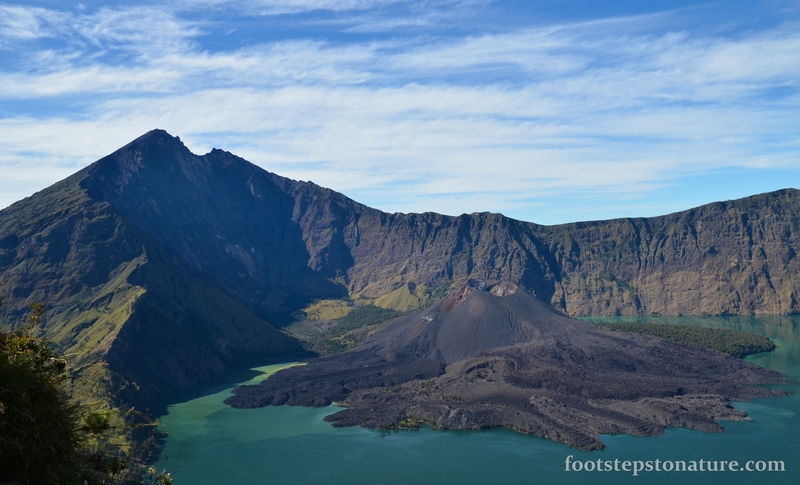 We would be hiking up the Senaru crater rim (facing Senaru) before descending 6 hours to Rinjani Trek Centre at Senaru where the journey comes to an end. There are a few tour packages ranging from 2d1n to 4d3n. 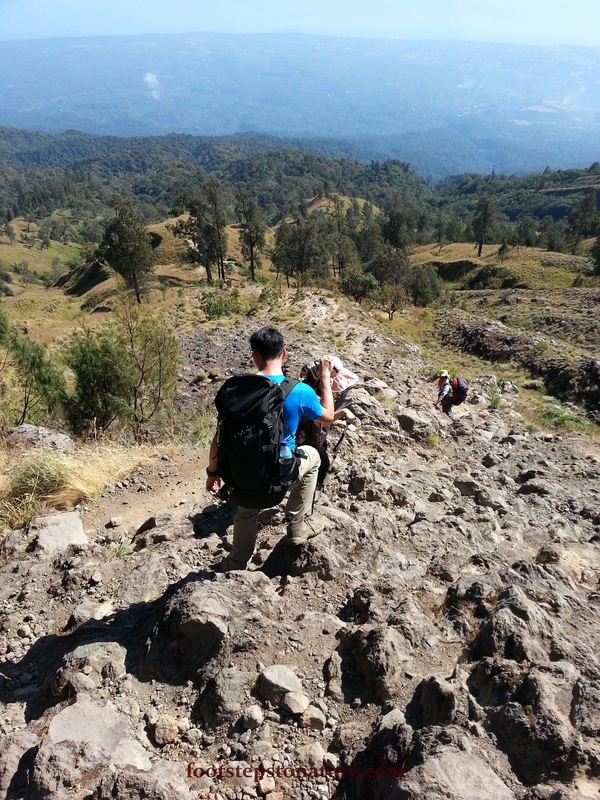 Our 3d2n package was considered the most strenuous and not really recommended for casual hikers. 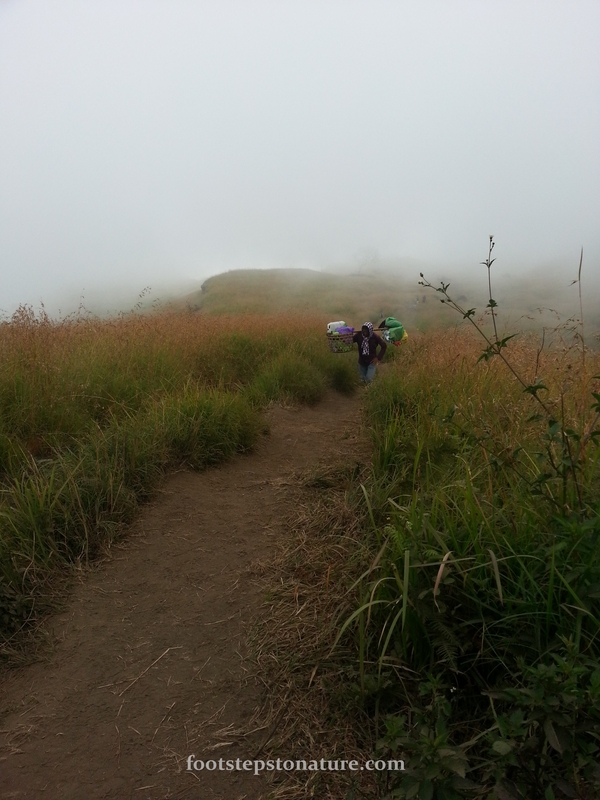 The reason is that we weren’t supposed to camp by the lake in Day 2 but instead at the crater rim of Senaru but due to fatigue our guide advised us to rest and take a longer trip on Day 3. Hence for a more relaxing trip, take the 4d3n package. I’d also like to give credit to the guides and porters who were amazing in providing exceptional hospitality throughout our journey, kudos to them! 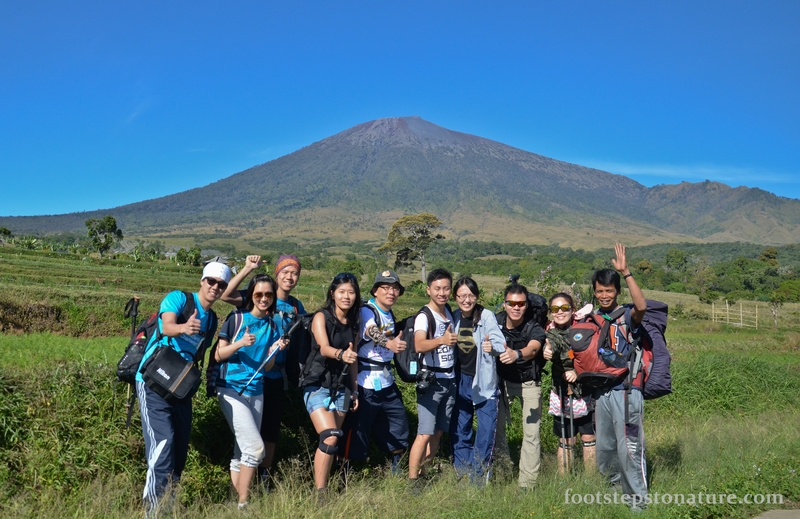 It was an unforgettable experience climbing Mt Rinjani. It was also a test of strength and determination and I sweat blood and tears to reach the summit. But at the end of the day, the satisfaction, feeling of triumph, and memories formed was totally worth the torture we all had to go through. Never give up! We gave a small tip to the guide and porters for their generous service. But this is entirely up to you. Hi! 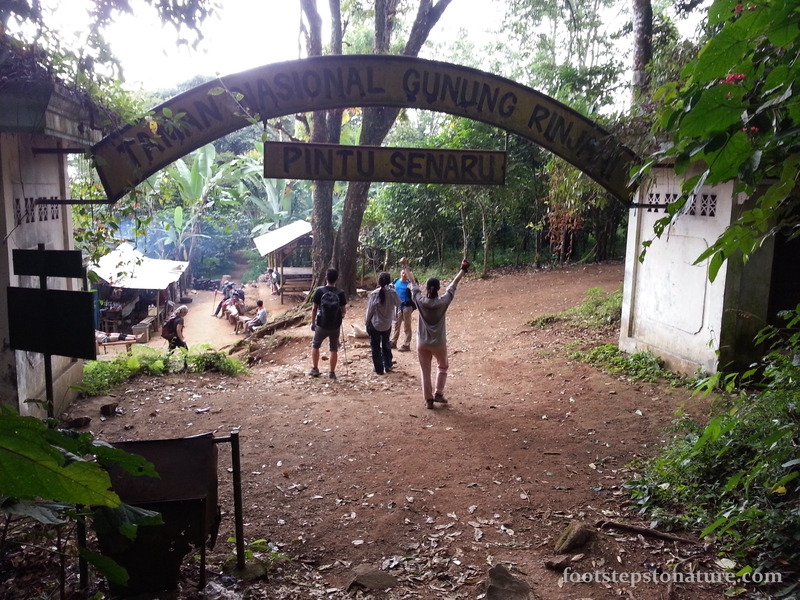 What would you rate Kinabalu in terms of Difficulty, as compared to Rinjani? Both mountains are quite different in terms of their environment. But If I were to put it on a scale of 1-10 (10 being more difficult), I would rate Kinabalu a 6 and Rinjani an 8. This is because of the difference in hiking trails. 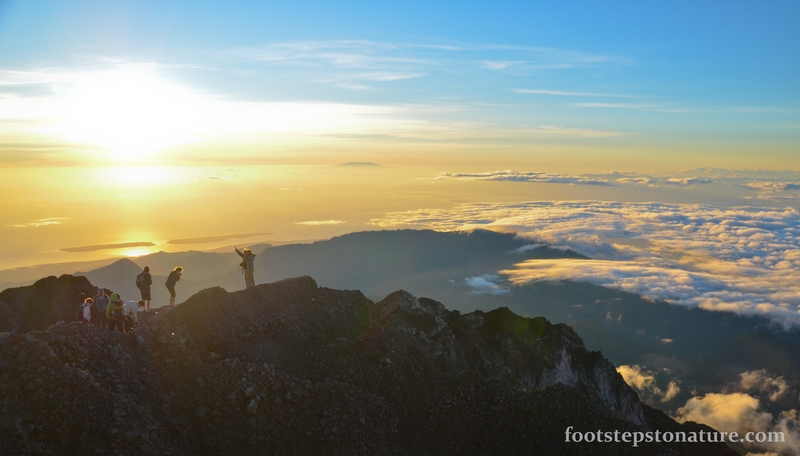 Kinabalu is more hiker-friendly with a lot of man-made steps along the way. Also, hiking on solid surface to the summit is not as tough as hiking on lose surface at Rinjani which was the toughest part in my opinion.